The single swing denotes freedom, fun and freshness. It can easily transform your backyards into a joyful mood. As it consumes only a minimal space, single swing serve as the perfect choice for backyard or smaller area playground plans. 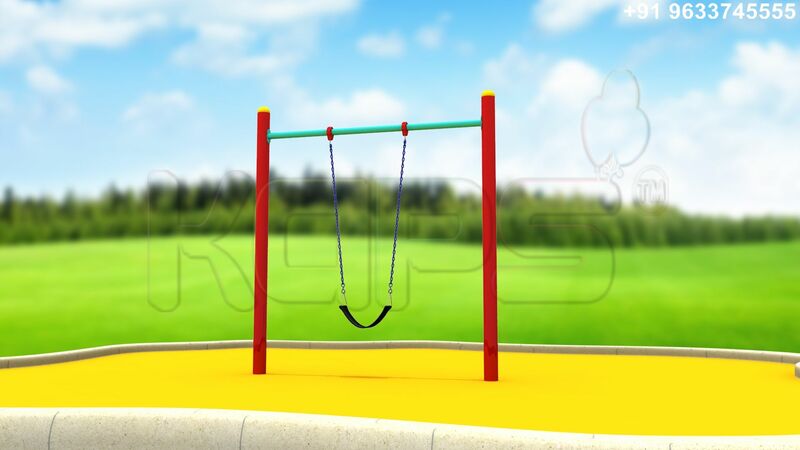 Kids enjoy the happy glides in the playful swings and it is all you need to make them smile. With each to and fro movement, kids get the proper balancing techniques and they learn to coordinate and adjust with the pace. Swings encourage children to seek new heights and break their own records.